There have been three times in my life when what I witnessed in a museum has reduced me to floods of uncontrollable tears. The first time was in the Tuol Sleng Genocide Museum in Phnom Penh, which memorializes the crimes of the Khmer Rouge regime in Cambodia, the second was at the Auschwitz-Birkenau Memorial in Oswiecim, Poland, when I was stood in front of piles of glasses, suitcases and hair taken from the thousands of Jewish people who were killed at the Nazi concentration camp. And the last time was the other day, at Kigali’s Genocide Memorial. The memorial comprises of an education centre, with photographs, news articles and video footage of survivors re-telling harrowing stories of the how their families and friends were murdered in cold blood, and a memorial garden built on the site where over 250,000 people are buried. On 6 April 1994, with the world’s media focused on the election of Nelson Mandela, a plane was shot down in Kigali. It had been carrying Rwanda’s president, Juvénal Habyarimana and Cyprien Ntaryamira, the Hutu president of Burundi. The double assassination triggered the state-sponsored genocide of approximately 800,000 of Rwanda’s minority Tutsi population and moderate Hutus. The mass slaughter was carried out in 100 days by government-backed perpetrators in the army, police, militias and by thousands of Hutu civilians across the country. What I saw and heard in the education centre moved me so much, that when I came out into the bright Rwandan sunshine, I sat in the memorial garden, with my head in my hands and wept. And why did I cry so much? I cried, because ethnic cleansing happens again and again and again – it happened in the war in Bosnia and Herzegovina and is still happening in places like Palestine. Outside the memorial, the people of Kigali will never forget the nightmares of 1994, but the city is focusing on its present and its future. 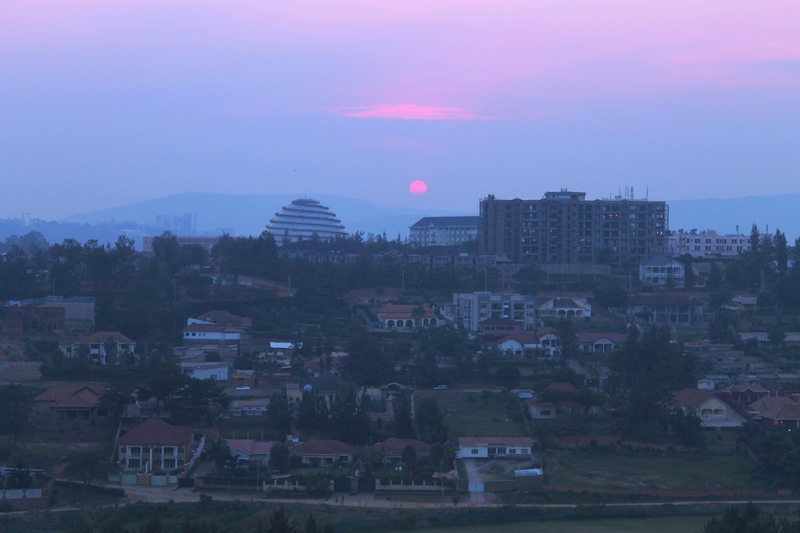 In the 21 years since the genocide, a period of intense rebuilding has seen Kigali develop and thrive. “Cleanliness and Security” is the motto of the city, where the police regularly patrol the streets and the population is encouraged to report anything that may be of potential harm to others. In fact Kigali, now inundated with remarkable architecture, museums, recording studios, theatres, dance performances, and unique craft markets, is regarded as the safest city in Africa. And in 2008 the United Nations awarded Kigali a Habitat Scroll of Honour Award to recognise the work that has gone into the construction of this exciting modern city. 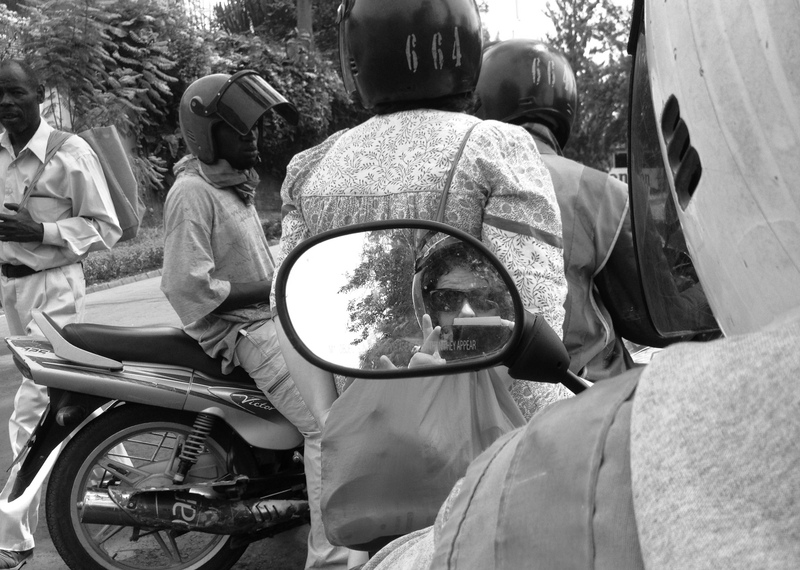 Bombing around Kigali on the back of a moto I see evidence of city which is safe, clean, friendly, cultured and progressive. Kigali is definitely a city which is looking forward. I believe I would have reacted the same way you did while visiting the Kigali Memorial. It’s nice to see Kigali is looking forward, although I’m sure it is quite difficult. Another beautifully written article, Ali.